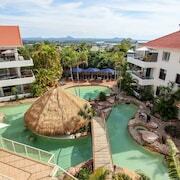 Great location, great accommodation, friendly staff just what I needed. Breakfast (included) was ideal. Pool lovely as was the spa. Gates were heavy and could do with being more easily opened - dressing gowns would have been nice. All up was great and just what I needed. A Special Occasion My 4 sisters and I stayed in a 3 bedroom penthouse at Peppers to celebrate a momentous birthday. 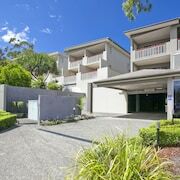 It was all we could have hoped for from the heated swimming pool, steam room, day spa to the closeness to Hastings Street and the very welcome ride up the hill when needed. 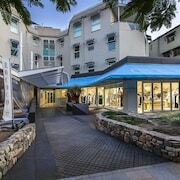 Situated by the ocean, this luxury hotel is within a 10-minute walk of Hastings Street and Noosa Beach. Noosa National Park is 1.2 mi (1.9 km) away. 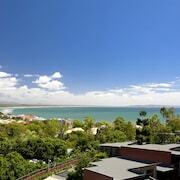 High quality accommodation in a great location. Excellent kid’s pool and play area. I loved everything about this hotel – the location, the pool, the chic room decor. I highly recommend Tinginara and would stay here again in a heartbeat. Perfecr for access to Hastings St, quiet location, very private. Loved it!,... will be back. Do you want to be within walking distance of one of the city’s most prominent landmarks? How would you like to wake up in the morning with a view of it outside your room window? This is so easy to accomplish, it’s almost ridiculous. 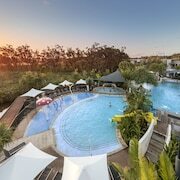 Just book a stay at one of the many discount hotels near Noosa Beach and you’ll be able to throw a googly to it. A few days ago, the famous sites down the street only existed in brochures. But now, you can begin the morning by mapping out your day from your balcony. See that place off in the distance? 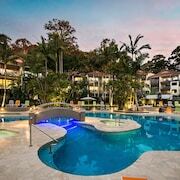 That’s where you want to be, so flag down one of the taxis, snag one of the buses or just hoof it from accommodation close to Noosa Beach. You can also check with the hotel concierge about any tour packages available, just be sure to have your camera ready because a new holiday album could be in the making. Don’t just look for some rum-dum joint to crash in during your holiday—and yes, camping is out of the question. 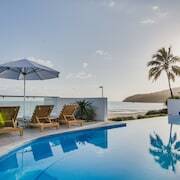 Use lastminute.com.au to find the best deals on Noosa Beach hotels to keep your budget intact, even if you’re booking at, yes, the very last minute! Spend the money you save on extra adventures outside the city limits!